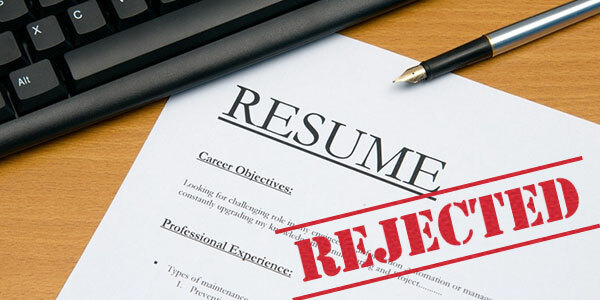 Practically speaking, your damaged credit report can have a very bad impact on your job search whether you are employed or currently looking for one. A good employer can verify your financial details, as per the state law. Your bad credit report can make a bad impression on your future employers' mind. You are the right person for the job if you manage and maintain all the financial responsibilities on time. Avoiding your creditors and ignoring all payments may affect your credit very badly. If you are a trained professional who is searching for a decent job in the financial industry, financial fitness is what your employers are looking in you. Bank or financial industry related jobs require a good financial background from their applicants. If your credit score is low, you’re not likely to get the job. It is because, if you can’t handle your money, how you can handle others? Stress due to a financial crisis may affect your work input and also the result. If you are missing working days, fail to pay enough concentration, you’ll become less productive for the company. When your financial factors get out of control it’ll affect your credit history. You may have several reasons to justify the errors in your credit report, but at the end, the mistakes will hunt you down. If you are fighting neck and neck with another co-worker, a good credit report can break the tie. Sometimes employers choose mid-level managers with fair credit score and train them for higher-level positions. Your low credit may help you to get a new job, but it won’t help you to grow. The one with the good credit report would be promoted. Employers always try to retain old employees with good credit. If they are getting new applications with a bad credit history, they’ll surely hold up their process and try to keep all older employees by giving them a better position. They’ll not trust a new person to get associated with their company with a bad financial history. If you are unemployed, it’ll be difficult to manage your bills at the first place. So, when you’re rejected from a job just because of having bad credit history, you’ll surely think how to get rid of that state. So, you may solve your financial issues all by yourself, just by downsizing your lifestyle and living place, by having a renter, or taking other frugal methods to build your credit history up again. It is called the hamster wheels effect. The employers need to check the financial history of their new employees just to get confidence on them. So being an individual, your credit record can practically help or harm your chances of getting your desired job. Being an employer, you also can’t take any chance. Would you? Don’t miss out: No credit is worse than having bad credit?